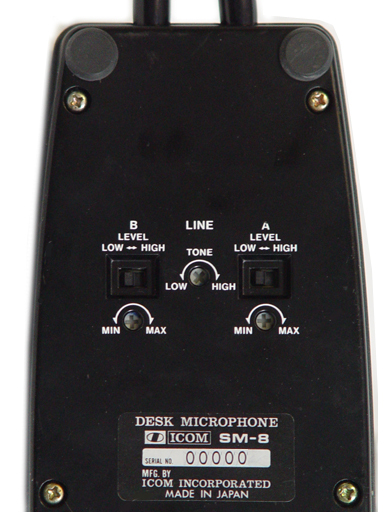 The Icom SM-8 desk mic has an electret condenser type mic element and gives clear tone over a wide variety of voice levels. The gooseneck may be adjusted to any angle. It features UP-DOWN tuning (on compatible Icom transceivers). There is a switch for PTT (push to talk) and also a lock feature. This mic has two line inputs (A/B) for operation from two transceivers. 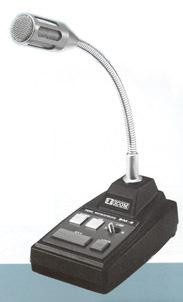 Icom includes the second mic cable that you can connect if needed. On the bottom of the mic base there is one control for tone. Plus there are separate level adjustments for input A and input B. The mic cables terminate to a standard Icom 8 pin mic plug. 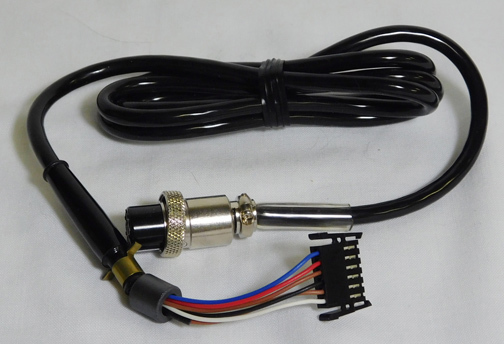 The SM-8 can also be used with the IC-706 series with the addition of the optional OPC-589 mic adapter cable (see below).